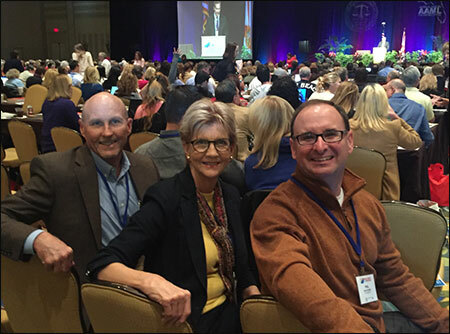 Rice & Rose Law Firm attorneys, Paul Rice, Beth King and Phil Bonamo (pictured here from left to right) attended the annual Marital and Family Law Review seminar sponsored by the Florida Chapter of the American Association of Matrimonial Lawyers and the Florida Bar's Family Law Section. The two day seminar was held at the Hilton Bonnet Creek Hotel and Convention Center on January 29th and 30th of 2016. The event organizers announced that over 1800 divorce and family law attorneys from around the State of Florida attended this year's event. This seminar is a must for lawyers who practice family law in Florida. Not only do attendees learn about the most recent developments in family law and related areas, the event also serves as a review course for those lawyers who will be sitting for the examination to become board certified in marital and family law.